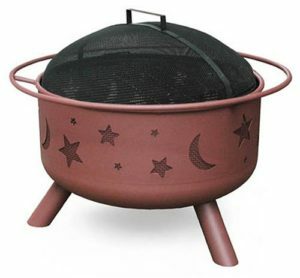 The Landmann Big Sky Stars and Moons Fire Pit is an outdoor fire pit beautifully built with a cold-rolled steel shell and a sand paint finish which gives it a great deal extra durability. With a 397 square inch burn surface, it can handle most needs for a domestic fire pit. This Landmann fire pit is attractively decorated with star and moon cutouts which bring a wonderful night times ambience. It has a 23-1/2 inch diameter bowl and also features a full diameter safety ring for added precaution. Do all your outdoor cooking and BBQ’s on the Landmann Big Sky and Moons outdoor Fire Pit with its full-size cooking grate it’s ideal. It even comes with spark guard and a poker included! 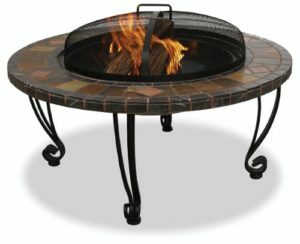 This Landmann USA 28925 Ball of Fire Outdoor Fire pit has an attractive and exciting design. It’s concave spark screen gives theLandmann Ball of Fire amazing spherical appearance. Because of its unusual globe-like design it means you and your guests get an unobstructed 360-degree view of the mesmerizing fire glowing within. You can easily access and stock the fire via a pivoting door which is equipped with a large handle. 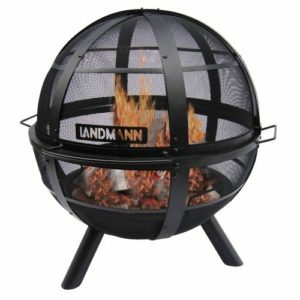 A hard-wearing steel construction and a 30-inch diameter make the Landmann Ball of Fire a great choice for any garden or patio.